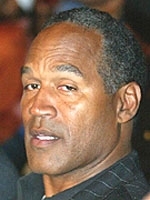 SEPTEMBER 14--While Las Vegas investigators mull charges against O.J. 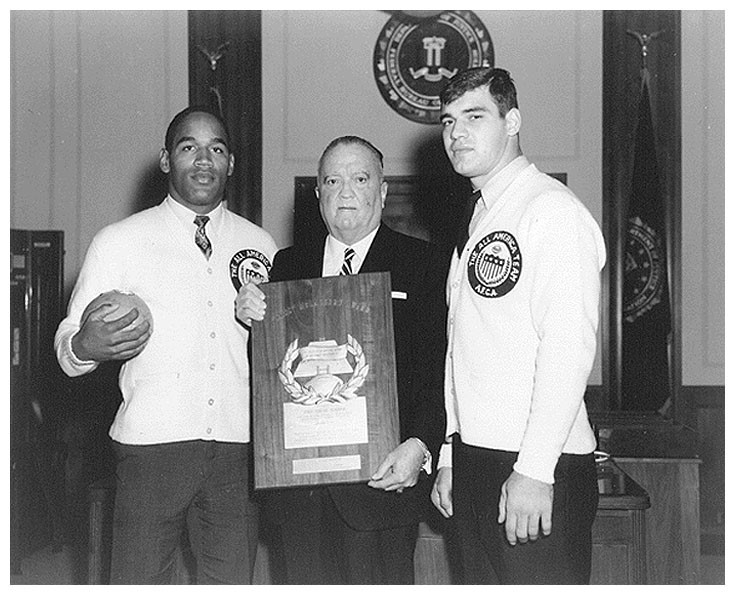 Simpson for last night's bizarre memorabilia rendition bid, news reports indicate that the former football star sought to recover, among other items, a photo he took with J. Edgar Hoover, the former FBI director. 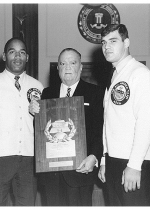 Simpson was snapped with Hoover in 1968, when the athlete (and fellow collegiate running back Larry Csonka) traveled to FBI headquarters to present the top G-man with an award honoring his distinguished public service.